Following a successful night in London last December, 840 took their programme 'New Music for Violin and Piano' for a repeat performance in Norwich. 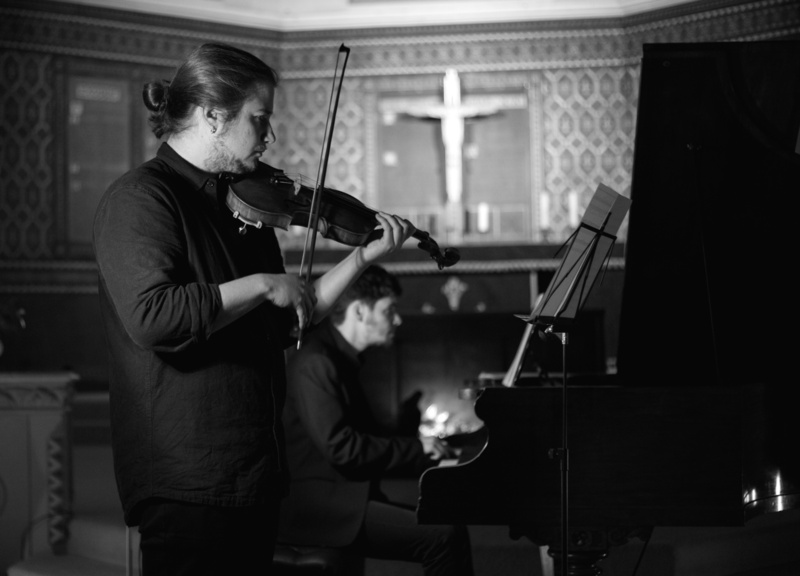 Violinist Ruben Zilberstein and pianist Mateusz Rettner (Explore Ensemble) presented a programme of brand-new works, centred around Linda Catlin Smith’s piece from 1997 'With Their Shadows Long'. This piece set the tone for the evening with its sparse, delicate and resonant sound. 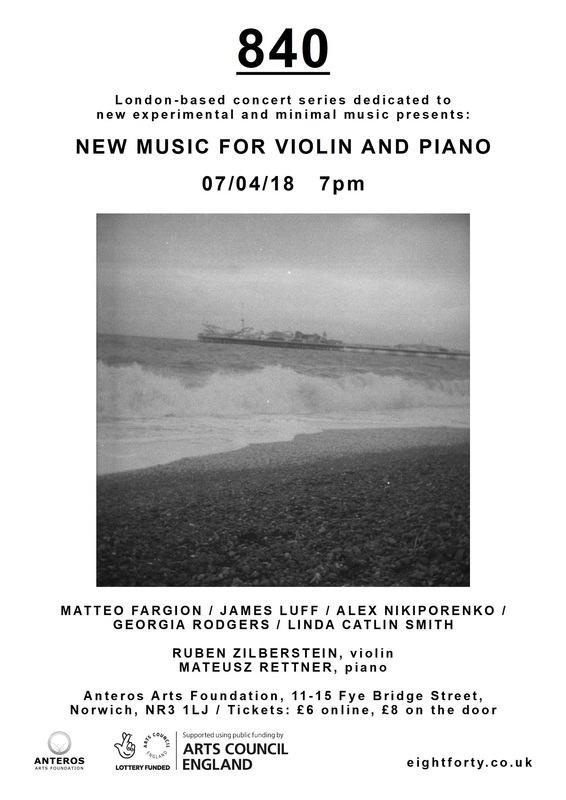 The rest of the programme consisted entirely of brand-new works exploring such diverse themes as resonant frequencies (Georgia Rodgers); composing using logical sequences (Alex Nikiporenko); the tension between constant repetition and constant change (James Luff); and a tricky negotiation between a disembodied voice demanding half-remembered folk tunes (Matteo Fargion). It took place at the Anteros Arts Foundation, 11 - 15 Fye Bridge Street, Norwich, NR3 1LJ.